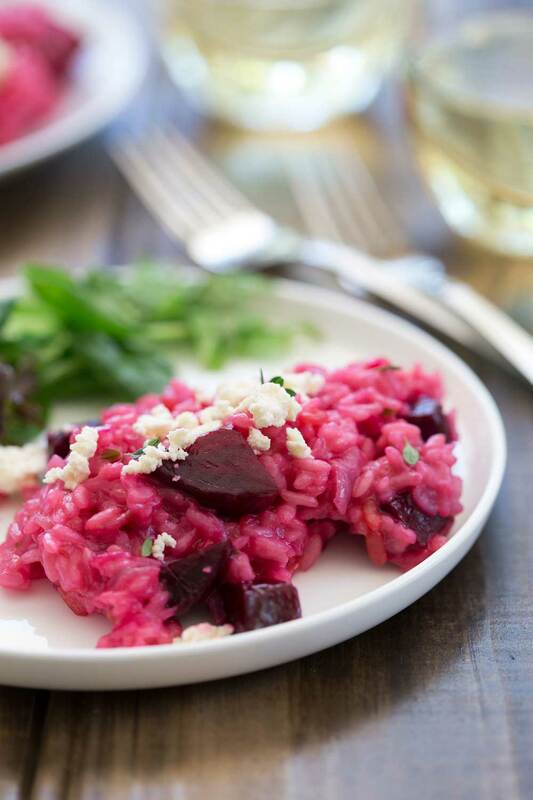 This bright pink beet risotto has it all. Great flavour and gorgeous looks. 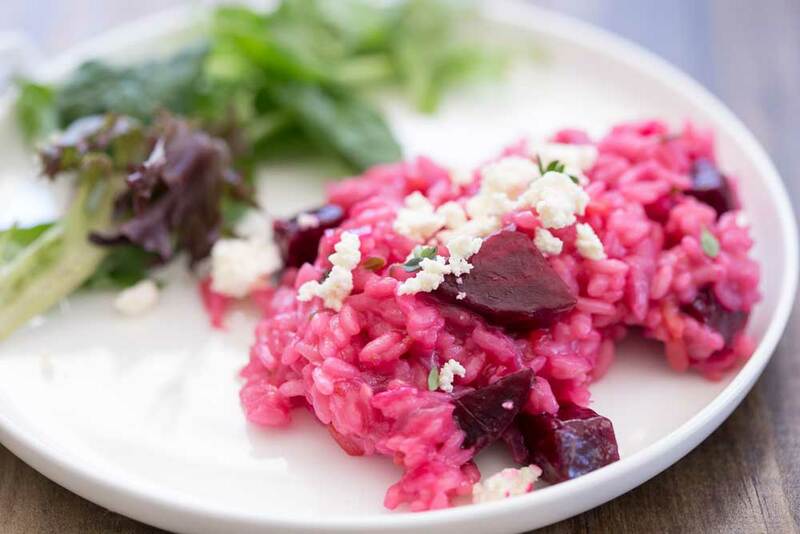 The earthy beets give it the gorgeous colour and add the most amazing depth to the rice, paired with fresh ricotta and some floral thyme, this is a dish that will never fail to impress. Pink is everywhere this month and it is wonderful to see! The world has gone pink for Breast Cancer Awareness month. Even the disposable red cups (You know the ones!!!) are currently pink. I love that. This is a cause that is close to my heart and a disease that changed my life! 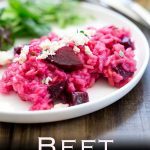 This Perfectly Pink Beet Risotto is my savoury contribution to raising awareness, it is a show stopping meal. I wish you could be in my kitchen, I can assure you that the colour you see isn’t edited! This risotto really is bright bright pink. Sprinkled with fresh beautiful white ricotta and with a light garnish of thyme, it is gorgeous to look at. (It tastes pretty gorgeous too!). It is certainly going to be a dish that gets remembered and that is what I wanted. I wanted a meal that will stay in peoples minds once October and Breast Cancer Awareness month had finished. Breast cancer is the most commonly diagnosed cancer among women in Australia and one in eight women will develop breast cancer in their lifetime!!!! And that is just breast cancer. All cancers combined affect one in three people!!!!!!! Breast Cancer affected me over 20 years ago when my Mum lost her battle with secondary breast cancer. Her relapse was sudden and vicious, they discovered the disease was back, found it had spread to her liver and her kidneys and she passed away just a week later. In some ways maybe that was a blessing; she didn’t spend a long time suffering and as a family we didn’t watch her slowly disappear. We woke up one morning, sat and talked whilst the nurse helped her sit up, I remember her asking to wear my long cream jumper, I remember her wrapping a green pashmina around her shoulders and I remember her smiling. She was coherent and responsive, she kissed us, we went to school, she was sleeping when we arrived home and that night she died. It changed our lives, it was so sudden, so devastating and such a loss, but we adapted, grew up, changed and it became part of our lives and part of who we are. We are children who lost their mother at an early age, we lost someone who taught us how important love is, how important family is and who even though she was dying, smiled and acted as normally as she could. She gave us the gift of love and that is something cancer can’t take away. And more than that, in an odd and poignant way, she also gave us the ability to deal with disaster and tragedy, we know that whatever life throws our way, we can overcome it. We are stronger because of her death. But I think the hardest part for me, is now I am a mother. I cannot imagine the pain and heartache she must have gone through knowing that she would leave us and wouldn’t see us grow up. As I wrote to a friend the other day, I lost my mother that day, but she lost everything. She lost seeing us become adults, our graduations, our weddings and seeing her grandchildren. She knew she would have to leave my Dad to bring us up alone. That, more than anything, is what makes me sad and angry at this disease. But through awareness and research we can make a difference. I know in the 20 plus years, since it affected my life, the survival rates has increased by over 20%!!!! If you are interested in making a donation, these charities work on raising awareness, research and supporting those with the disease. If you have any other breast cancer charities you support, please let me know below and I will happily add them to this list. Also not specifically for breast cancer patients but the Macmillan Nurses do an amazing job, with patient care within hospitals and in the home. An amazing organisation. 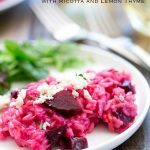 So the pink pink pink beets risotto! I can tell you the boys wanted to know why I couldn’t make blue risotto!!!! 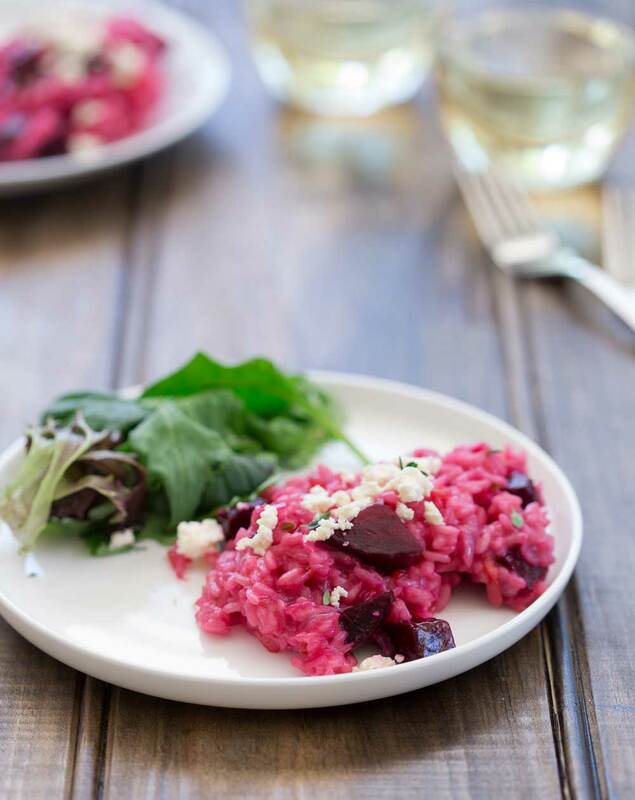 Tips for making this pink beets risotto. Don’t be scared by risotto, pour a glass of wine (you’ll need some for the recipe) put on a bit of music and enjoy 20 minutes of kitchen therapy. Stir your pan slowly, and if you listen to the Italian Nonnas (and let’s face it why wouldn’t you!!!) you should only every stir in one direction. Ideally stir with a flat paddle spoon that has a hole in the middle. They usually come in those packets of wooden spoons and spatulas. The one with a large round hole in the middle is a risotto spoon. I only learnt that a few years back!!!! If you want more tips on the perfect risotto then check out this post…Simple Perfect Risotto. I also have a few other risotto recipes on the blog, Seared Salmon with Lemon Risotto, Saffron and Leek Risotto, Sausage and Rosemary Risotto. p.s if you have any tips on how to photography risotto I would love to hear them….I find it one of the hardest foods to capture! 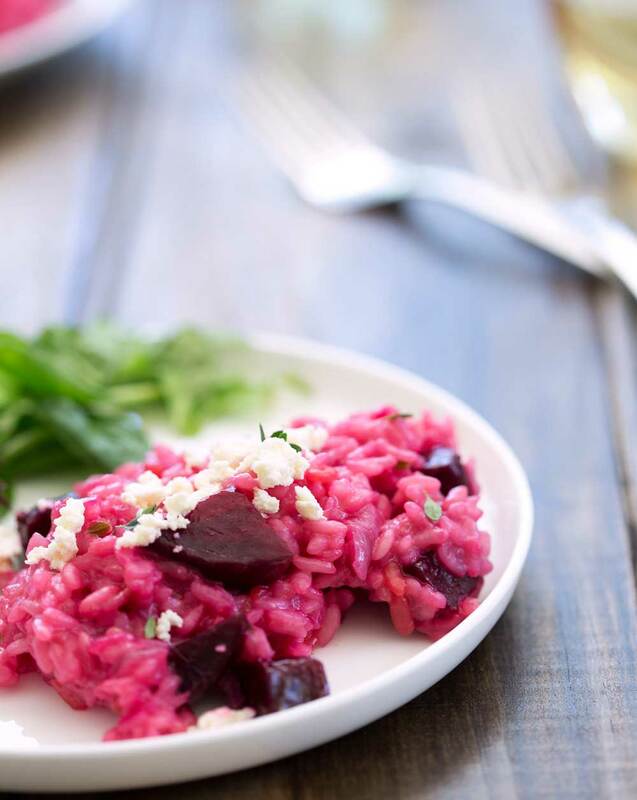 Why not pin this recipe for this Beet Risotto with Ricotta and Thyme for later. Pin it here. This Perfectly Pink Beetroot Risotto with Ricotta and Thyme is my savoury contribution to raising awareness for Breast Cancer. A show stopping dinner. Start by preparing the beetroots. Reserve the liquid that the beetroots came in and then chop each beetroot into small chunks. Set the beetroot and the juice aside. Put the butter into a heavy based pan, add the olive oil and place over a medium heat. Add the onions and cook for 5 minutes until soft. Crush in the garlic and the salt and cook for a further 2 minutes. Add the risotto rice and stir to coat in the butter. Sprinkle over the thyme and then cook for a minute or so until the edges of the rice are starting to look translucent. Pour in the wine and allow it to sizzle away. Add a ladleful of the stock and stir the risotto to prevent it from catching. 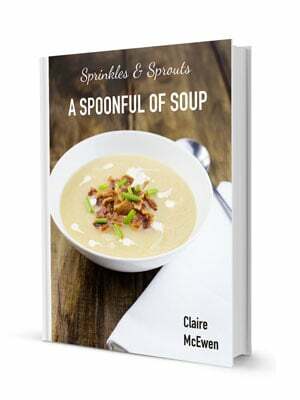 Allow this liquid to be absorbed and then add another ladle of stock. Continue adding and stirring until until the rice is cooked to al dente and the liquid has all been absorbed. This is usually about 20 minutes. Pour in 70ml of the reserved beetroot juice and add the chopped beetroot. Place over a low heat and stir gently until the rice is a perfect pink colour and the beetroot is heated through. Remove from the heat and stir through the remaining butter and the parmesan. Place the lid on the risotto pan and leave it for 3-4 minutes. Give it a final stir and then serve immediately, with a tablespoon of ricotta sprinkled over and a garish of fresh thyme leaves. 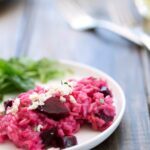 If you love food why not subscribe to my newsletter, I will drop you an email every now and then, just to say hi and send you a couple of recipes think you might love, like this Beet Risotto with Ricotta and Thyme. I’m so sorry you lost your mom to a terrible disease, especially at such a young age. I hope her memory is a blessing to you! I loved your beautiful risotto — one of my favorite meals! Such beautiful color, and I’m sure flavor!